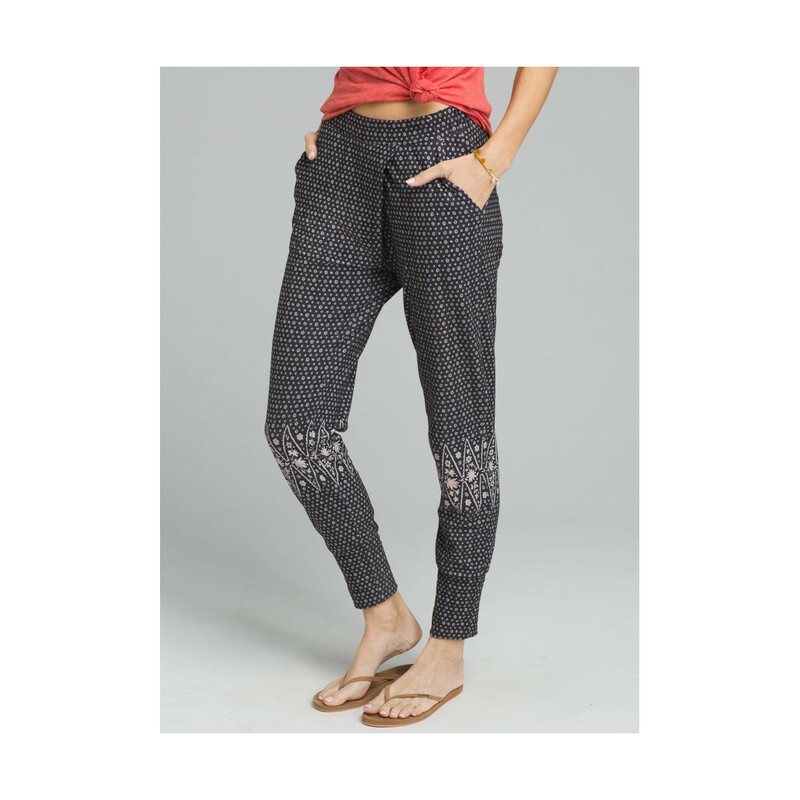 For the girl who is always on the move,the PrAna On The Road Again Pant is a pull on, soft, eco-friendly, jogger-style pant with four-way stretch, great for yoga, bouldering and life on the road. Cut from a blend of 45% recycled polyester and elastane, the fabric is moisture-wicking and super stretchy. Featuring an elasticated high rise waist, two front pockets, and elasticated cuffs in a stylish loose cross over Thai fisherman style pant. Available in a beautiful black and white floral Scandinavian inspired print.